Unitrans have been creating innovative supply chain solutions since 1962 and believe in establishing long term partnerships with their customers. 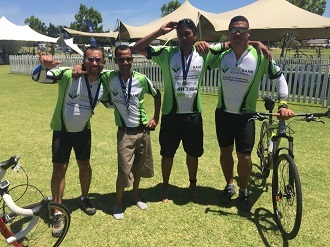 Unitrans’ commitment to long term partnerships is also apparent in their relationships with the NPO’s they assist, including their ongoing support of FoodForward SA’s food rescue programme which enables the non-profit organisation to continue providing sustenance for orphans and vulnerable children in South Africa. The company made a generous donation in January 2017 in support of a specific beneficiary – Home from Home. This new beneficiary supports and cares for orphans and food-insecure children. Home from Home comprises of a family of dedicated social workers, foster moms and support staff who are committed to loving, protecting and raising children-in-need to become independent young adults. They aim to ensure that the children receive the highest level of care with individual treatment plans, therapeutic interventions, tutoring and mentorship on offer. In 2005, Home from Home’s founders Jane Payne’s and Pippa Shaper’s vision became a reality as they registered the Home from Home Trust as a non-profit organisation (NPO) as well as a public benefit organisation (PBO). Home from Home is also formally recognised by the Western Cape Department of Social Development as a registered Cluster Foster Care Scheme. “We are proud to say that we supported and supervised community-based foster care for over 200 orphaned, abused, neglected and vulnerable children,” says Payne and Shaper. Unitrans together with FoodForward SA continue to search for more ways to work together to address hunger in South Africa. 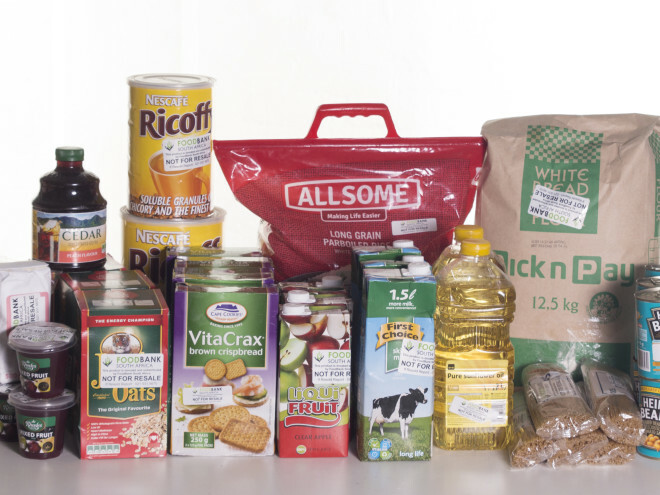 “We are grateful to Unitrans for looking at ways to enrich the lives of even more hungry South Africans,” say FoodForward SA representatives. Unitrans generously donated a truck to assist FoodForward SA with the collection and preservation of food that would otherwise go to waste. The truck has already saved FoodForward SA the equivalent of over 530 000 meals, allowing the organisation to help serve the neediest in our country. 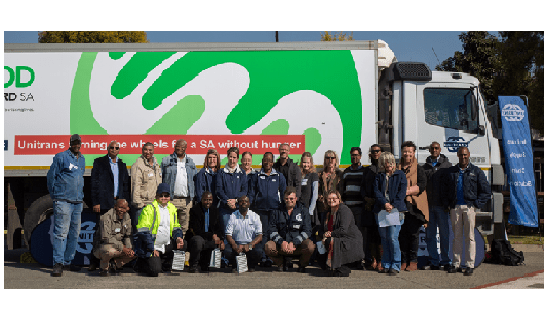 Not only does Unitrans help with financial support and the donation of a truck, but their staff are so passionate about doing good that they have been volunteering at FoodForward SA’s Cape Town and Johannesburg warehouses on a weekly basis. These volunteers get to pack, sort, re-label goods and help facilitate the collection of food items by FoodForward SA’s beneficiary organisations. This is a great help to the FoodForward SA warehouse staff, as they are a very small team and the extra hands saves them time to focus on other operational things. The volunteers find it to be a very humbling experience to get involved in such a way, literally lending a helping hand to FoodForward SA. FoodForward SA is grateful to have a partner such as Unitrans who shares a common goal of enriching the lives of disadvantaged South Africans. A lot has been accomplished throughout the partnership and has many South Africans benefiting from its initiatives.